Eric Armstrong detected a transcription typo in yesterday’s blog entry, d for ð. As he rightly surmised, the explanation of this error is that I normally type ð by doing an upper-case d, using my phonetic keyboard. I’ve corrected the mistake now. You may know of Eric as the custodian of the International Dialects of English Archive (IDEA), which celebrates its tenth anniversary this year. PS Eric says I have given him credit for something he always WISHED he had done, but cannot claim to have done: he is not the "custodian" of the International Dialects of English Archive: Paul Meier of the University of Kansas is. His title is "Founder and Director" of IDEA, and he is assisted by Technical Director and Webmaster Shawn M. Muller. 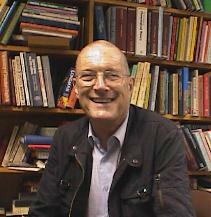 Eric is merely a regional editor for the collection of so-called "dialects". He has a blog here. My readers were thrilled to read about our interview. Perhaps you would like to know what my readers think about it. The only pictures of Kai Wing Siu I can find on the web show just the back of his head. In click languages there are no click consonant clusters. So it doesn’t matter that the symbol for an alveolar lateral click, [ǁ], is barely distinguishable from two successive instances of the dental/alveolar click, [ǀ]. At least, they’re barely distinguishable in a proportionally-spaced font such as I use. Unfortunately the English non-speech interjection sometimes written ‘tut-tut’ (to show disapproval) may consist of just that: two successive central coronal clicks. To show it in LPD I had to insist on good spacing between the two click symbols. Alternatively, Patricia Ashby’s idea of always including the symbol for the non-click component of the articulation would disambiguate the symbols: [k͡ǁ] (lateral) as against [k͡ǀk͡ǀ] (double non-lateral). If I’m messing around with different writing systems, the other thing I obviously ought to do is write an entry in phonetic transcription. In the journal Le Maître Phonétique, predecessor of the Journal of the International Phonetic Association, everything was in phonetic transcription (and often in phonetic transcription of languages other than English). e parfwa ɔ̃n ekrivɛ ɑ̃ frɑ̃sɛ. mançmaːl hat man aʊx aʊf dɔɪtʃ ɡəʃriːbm. jen ehpaɲol. i pʌ ruskʲij. əz fɑːr əz aɪ əm əweə, �i m.f. nevə pʌblɪʃt eni ɑːtɪklz ɪn fənetɪkli tr�nskraɪbd dʒ�pəniːz, kərɪən ɔː tʃaɪniːz. The m.f. was first published in 1889. It ceased publication in 1970. The UCL Summer Course in Phonetics ended on Friday, and was immediately followed by PTLC2007, the Phonetics Teaching and Learning Conference, likewise held at UCL. There were about 75 participants, who heard some excellent papers, now readable on-line. The Summer Course finished with an innovation: a Question and Answer session, at which Masaki Taniguchi, Jane Setter, Patricia Ashby, Jack Windsor Lewis and I attempted to answer course members’ questions about English phonetics. One of them concerned the possibility of reforming the chaotic and inconsistent spelling of English. I expressed the view that this would be a Good Thing, though for social and political reasons difficult to achieve. Jack Windsor Lewis then challenged me — given that I, like Daniel Jones before me, am President of the Simplified Spelling Society (SSS) — to publish some of my writing in reformed spelling instead of in traditional orthography (TO). He claimed that he himself always writes re’d for the past tense of the verb to read. In my view, English spelling reform shoud be gradual rather than raddical. As Patricia Ashby suggested, we aut to be like the Dutch and hav a minor reform evry few yeers rather than a big bang awl at wunce. The SSS has a House Stile, wich probbably goes further than we woud wont to go in the first instance, tho not as far as we mite wish to go in the end. No chanje is compulsory. U can go on using the traditional orthoggrafy if u prefer. Redundant letters ar cut: giv, hav, det, thum, thaut. We retain the use of e to sho that a preseeding vowl is long: drive, shave. Consonants are dubbled after stressed short vowels consistently rather than sporaddicly: rappid, coppy, nevver, sitty, reddy (just as in TO happy, coffee, etc.). Dubbling is also made consistent in -ing forms: givving, driving. These proposals are probbably at leest too hundred yeers old: see for exampel Elphinston 1795. On Friday I told myself that the discussion of Voldemort was now over, and that it was time to turn to other matters. However, this topic seems to have evoked more interest than any other I have dealt with in this blog. So here is one last instalment. On Saturday the excellent Language Log had a discussion of Voldemort’s syntax. Or perhaps that should be J.K. Rowling’s syntax. In French, "de mort" is often found in phrases such as "instrument de mort" (= device that causes death), "engin de mort" (= vehicle or device that causes death), "la machine de mort Nazi" (the Nazi scheme that causes death) etc... so that my personal interpretation of the name "Voldemort" has always been something like "deadly flight" / "murderous hovering" / "murderous soar". The reason why I opted for "flight" instead of "theft" isn't very clear to me, but it is probably out of the association with the image of the "Dark Mark" that hovers high in the sky over the place where the Death-Eaters have just committed ideological murder. Besides, with the "theft" acceptation, I would have expected the name to be "vol de vie", not "vol de mort". Thanks to all my correspondents. This topic is now closed. I thought I heard somewhere it was something to do with grave-robbery. Surely vol de mort (well, preferably vol-de-morts) could refer to "theft of a dead body" as well as "theft of death". Yes, and indeed in Half-Blood Prince Voldemort and the Death Eaters do engage in some grave robbery. He fills the underground lake with Inferii made from numerous men, women and even children. So this may be the right solution. Harry also mentions that J.K. Rowling is from Yate in Gloucestershire, not from Edinburgh. She was 29 when she first went to live in Scotland. She does not speak with a ‘slight Scottish burr’. I don’t know whether it was a direct result of my first blog on this topic (22 August), but it cannot be a coincidence that on that very same day a Wikipedia contributor going by the name of Malfidus corrected the IPA transcription there of the pronunciation of Voldemort. Finally, I have found a website devoted to the pronunciation of proper names in the Harry Potter books, including sound files. But at Voldemort an American voice says simply “ssh — he who must not be named”. PS: However (as pointed out to me by both Nobuo Yuzawa and Evgeniy Guskov) if you click twice more you hear /ˈvoʊldəmɔr/. Nobuo also sends me a sound clip of Stephen Fry pronouncing the name in an audiobook of The Philosopher’s Stone. This time, with final /t/. Evgeniy tells me Voldemort’s Russian name is Волан-де-Морт, Volan-de-Mort, an allusion to Voland, one of the names for Devil; and his unscrambled name is Tom Narvolo Reddl, an anagram of Lord Volan-de-Mort. Yesterday’s blog about the pronunciation of Voldemort evoked some correspondence. Indeed, in my first draft of yesterday’s blog I toyed with the idea that his name should really have been Peurdemort. the name makes complete sense as it stands. Voldemort's flight from death was his own quest for immortality, a theme explored throughout the whole series. The problem here, as I see it, is that French vol means flight as flying in the air. It does not mean flight in the sense of fleeing, running away (which in French would be fuite). Though I suppose J.K. Rowling herself might have been misled by the polysemy of flight. Lord Voldemort is Harry Potter’s main enemy. He made his debut in the first novel of the J.K.Rowling series, Harry Potter and the Philosopher’s Stone (1997) and appeared in most of the remaining novels and two of the films. But how is his name to be pronounced? Apparently, it’s dangerous to pronounce it at all. Voldemort is so feared in the Wizarding world that it is considered dangerous to speak his name. Most characters in the novels refer to him as "You-Know-Who" or "He-Who-Must-Not-Be-Named" rather than saying his name aloud. If we do choose to speak it aloud, though, the author — according to a report of an interview with J.K. Rowling — intends his name to be pronounced with no final /t/. "Is it Voldemort?" "Or Voldemor?" someone asked about Harry's evil nemesis. "I say 'Voldemor' but I'm the only one," Rowling, who's from Edinburgh, said with a slight Scottish burr. This was the pronunciation used by Jim Dale in the first four U.S. audiobooks; however, after the release of the film version of Harry Potter and the Philosopher's Stone, in which the characters who dared refer to him by name pronounced it with the "t", Dale altered his pronunciation to that in the films. So I reckon it’s either /ˈvɒldəmɔː(t)/ (or possibly /ˈvəʊl-/) for the English, /ˈvoʊldəmɔːr(t)/ for the Americans. Despite its French appearance, the name can hardly be based on French vol de mort, since this would mean ‘theft of death’ or ‘flight of death’, neither of which seems to make much sense. Perhaps he was really meant to have been called Vœudemort (‘vow/wish of death’). 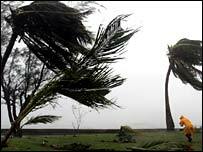 Hurricane Dean is in the news today: after slamming through the eastern Caribbean, Santo Domingo and Jamaica, it is now on course for southern Mexico. The British television newsreaders mostly seem to be referring to it as a /ˈhʌrɪkeɪn, ˈhʌrəkeɪn/, with a strong vowel in the final syllable, as against the form /ˈhʌrɪkən, ˈhʌrəkən/ given as first choice for BrE in the pronunciation dictionaries (and in ODP as the only choice). This was one of the items in the preference poll I conducted recently, and in which many of you took part. We know Americans usually say /-keɪn/. So is this another case of creeping Americanization? It is natural that EFL learners who have no such distinction in their native language can find it tricky to hear the difference between the GOAT vowel /əʊ/ and the THOUGHT vowel /ɔː/. What surprises me, though, is that even advanced learners may sometimes be unaware of the relationship between spelling and sound. This became clear as I was doing a guest ear-training session for the UCL summer course. My phonetic dictation included the word pose. One of the class members wrote it as /pɔːz/. She had, however, correctly identified the word and its meaning, and so knew that it was spelt pose. When I pointed out that a word with the spelling -oCe (where C is any consonant letter) would surely not be pronounced with /ɔː/, she reacted in surprise. No one had ever told her that. Other than to or(e), the vowel /ɔː/ typically corresponds to the spellings au, aw: author, caught, law, drawn. The spellings corresponding to /pɔːz/ are pause, paws (and in accents like RP pours, pores). No one had ever told her that, either. There are several very common words in which the spelling oCe corresponds to some vowel other than /ɔː/, as for example come, love, some, gone, move. This is one of the particularly poor design features of our traditional orthography. Nevertheless, poorly designed as it is, English spelling does offer some pretty reliable reading rules. Learners ought to be aware of them. At the ICPhS, those whose conference papers were chosen for poster rather than oral presentation had instructions that the poster should be in A0 size, portrait orientation (1.19 m high x 0.84 m wide). Naturally, I myself complied with these instructions (blog, 26 July). But an awful lot of presenters didn’t. Some had three or four A1 sheets (or smaller). One or two used A0 size but in landscape orientation, which meant the poster wouldn’t fit properly in the display space. Several covered the space with a dozen sheets of A4 or American ‘letter size’, with a font size not always large enough to be read easily. Since congress participants typically browsed the posters from a distance to decide whether they looked interesting before coming closer, it was essential to use an eye-catchingly large font size at least for the headlines. A display screen covered with sheets of A4 in 12-point size type was definitely not a good way to attract readers. This year’s UCL Summer Course in English Phonetics started on Monday, under the direction of my successor Michael Ashby, and runs for two weeks. There are about 115 students, including an ‘IPA stream’ of ten. Michael kindly invited me to give a few lectures on the course, and I did the first two of them yesterday. These were the first lectures I have given at UCL since my retirement last September. I am doing this willingly, because I enjoy lecturing, especially to appreciative audiences such as SCEP offers. Michael Ashby has introduced a number of admirable innovations this year. The most important of them is that the course has a WebCT site from which participants can (for example) see timetables and lecture summaries, download lecture handouts, and participate in discussions and a chatroom. 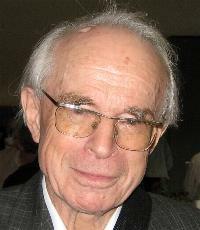 Max Mangold, Emeritus Professor of Phonetics at Saarbrücken and author of the Duden Aussprachewörterbuch, is now 85 years old and was too frail to attend most of the congress. But I was delighted to meet him when he came in for the barbecue. We spent perhaps two hours together, and he told me about the crass inadequacies of certain German publishers and their neglect of proper phonetic transcription in some of the bilingual dictionaries they have published. I quite take his point. But the dictionary designers found that this caused problems with tall letters (e.g. Ö) in the line below. So what did they do? Remove the tie bars? Increase the line spacing? No, they simply deleted every diphthong and every affricate from the transcriptions. You can imagine what this meant for a word such as Zeit: all that was left was one letter, t.
The venue was the campus of Saarland University, some 5km from the town centre. People were accommodated in hotels spread all over the town and its suburbs. Sensibly, the organizers had arranged that all of us participants should have free travel on the buses and trams (by flashing the congress badge), so this wasn’t as much of a problem as it might have been. Except for the first day or two, the weather was very wet. Stupidly, I hadn’t taken an umbrella with me. The congress barbecue, intended to be held in the open air, had to be moved under cover. What makes a man’s voice attractive to a woman listener? According to Vivien Zuta of the Frankfurt Institute of Phonetics, it is not (as often claimed) its deepness (= a low overall pitch, low average F0), but — for Germans at least — fluency, the avoidance of hesitation. Ums and ers are unsexy. This finding provoked considerable interest in the German media. 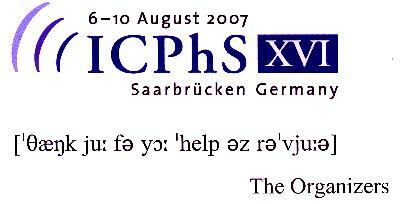 I’m back home after attending the ICPhS in Saarbrücken. Congratulations to Bill Barry and Jürgen Trouvain for an excellently organized Congress. I enjoyed this conference. 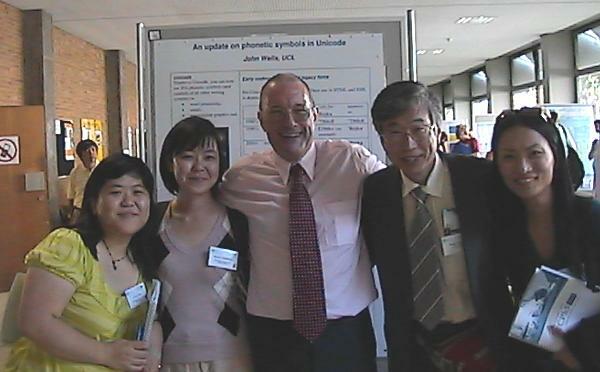 The ICPhS happens only once every four years, and there are always old friends and colleagues one has not seen since the last time. Indeed, I should think that for many people the thing that is valuable at the conference is not just hearing about new research in the subject, but perhaps even more the opportunity to meet new people as well as to renew friendships with existing friends: in a word, to network. The standard of the papers this year was very high. This may have been partly due to the rigorous evaluation procedure and high rejection rate. Of the papers submitted, one-third were turned down. 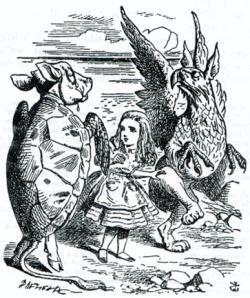 ‘Why did you call him Tortoise, if he wasn't one?’ Alice asked. The pun works perfectly in RP (and in most English, Welsh and southern-hemisphere accents) providing you use the pronunciation of tortoise that I grew up with, namely /ˈtɔːtəs/. But every now and again I hear people say /ˈtɔːtɔɪs/ or /ˈtɔːtɔɪz/. I think these must be fairly recent spelling pronunciations. In LPD I gave them a warning triangle. The OED is not very clear about how the spelling came to be -oise, given an origin in the Latin tortūca, French tortue. The earliest (15c.) English spellings included tortuce, tortuse, tortose, as well as the French tortue. Nevertheless, the spelling tortoise is also quite early (mid-16c.). 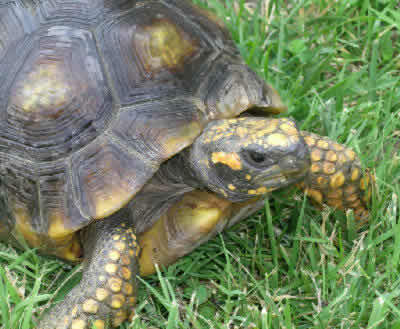 There seems to be a possibility that the final sibilant may have arisen from, or been reinforced by, a genitive form as in tortue’s shell (tortoiseshell). The OED also reports a pronunciation /ˈtɔːtɪs/, which I have never heard. 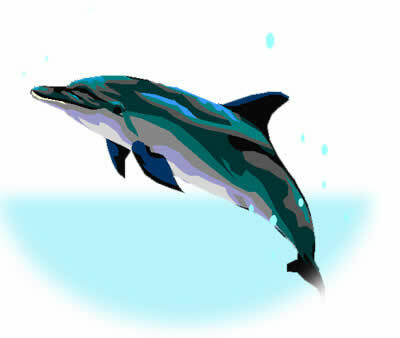 We have a similar situation with porpoise, though here the etymology and history are rather different. The form porpoys goes back to Middle English, a borrowing from Norman French, based on some unattested Latin form of the type porcus piscis ‘pig fish’. As with tortoise, so with porpoise. The pronunciation I recommend in LPD is /ˈpɔːpəs/, with a warning triangle for /ˈpɔːpɔɪs/, /ˈpɔːpɔɪz/. For both tortoise and porpoise Merriam-Webster reports only /-əs/. I remember a mondegreen-type misunderstanding when I was a boy. A dead porpoise had been washed up on the beach in Cumbria where we were on holiday. On being told about it, the cleaning lady thought that it was a dead cat — a poor puss. A month or two ago I helped out as an oral examiner for John Maidment’s undergraduate course on English intonation at UCL, a course taken mainly by native speakers. In the practical part of the exam the candidates had three tasks: a prepared reading, an unseen reading, and describing their own and the examiner’s intonation of a given sentence. I thought it might be of interest to give examples of the sort of thing they had to do under the first heading. For the prepared reading, candidates were given in advance a short piece of conversational English marked up with intonation marks. The candidate had to read the passage out loud, using the intonation patterns shown. Here’s part of the passage. I have adjusted the intonation marks to those I use in English Intonation. though I must \/say | it 'wouldn’t suit \me very well. \All that \travelling a\/bout | sounds ex/\hausting. /Still | ¯I sup/pose some /people \thrive on ºthat sort of ºthing. If I were setting this as a test for EFL teachers and learners, I would treat as unimportant everything except the three Ts: tone (make rises, falls, and fall-rises as required, but without worrying about such distinctions as low fall vs. high fall), tonicity (put the nuclear tones in the right places as required: preferably get the other accents in the right places too) and tonality (break the material into chunks as required). This is still a good test of performance ability, since not all the tones and tonicities are those that would first come to mind in the given situation. 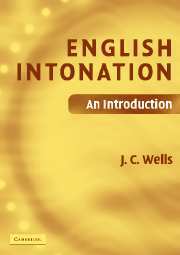 Accordingly even those with a good feeling for English intonation might be misled into producing a different intonation pattern if it seemed to make more sense. For example, I think that in real life I would be more likely to say the following rather than the patterns asked for in the exam. (some people do, some don’t). One of the items in the pronunciation preference questionnaire I recently conducted was the plural of the past tense of the verb to be, namely were. The question concerned the vowel in the strong form of this word, as exemplified by the sentence That’s just how things were. Only two possible answers were available to the respondents: either that it rhymes with stare (WARE) or that it rhymes with stir (WUR). The trouble with forced-choice questions like this is that the true answer for some respondents might be ‘both of the above’ or ‘neither of the above’. People from Merseyside and adjacent parts of the northwest of England typically have stare and stir as homophones. So for them this question could be regarded as meaningless, because were rhymes with both words. In a Scottish accent of English, on the other hand, there are usually several different /Vr/ sequences corresponding to the /ɜː/ of English English, depending on which word is in question: for example, serve and curve typically do not rhyme for Scots. A Scottish respondent duly complained that neither stare nor stir was a good rhyme for the way he preferred to say were. People had the further option of not answering this question at all. In practice, though, over 95% of respondents did answer. And their preference was pretty clear: of those who answered, 94% preferred were rhyming with stir, i.e. /wɜː/. Only 6% voted for the rhyme with stare, i.e. /weə/. Jack Windsor Lewis’s prediction, in his blog for 28 June, was that “not more than 10%” would go for /weə/. He was right. Daniel McCarthy writes to tell me that craic (blog, yesterday) does indeed usually have a short vowel in Irish, giving the pronunciation /krakʲ/. He thinks the long-vowel pronunciation may be attributable to the fact that Ó Siadhail’s transcriptions are based on the Connacht dialect.